With the ever increasing amount of important data owned by companies and individuals, the question of backing up data is a very current one. In the majority of cases, files, folders and digital assets are stored randomly on PC and laptops’ hard drives, external hard drives and USB devices. Although these are extremely convenient, they don’t protect the data against disk failure or human error. Another disadvantage is that they don’t allow users to share their files, they have a limited capacity; in addition, the level of protection isn’t high enough and leave the data open to theft and misuse. More and more companies, and home users, are using a simple technology called NAS. This devices works as the centralised storage of data from servers, laptops and networked PCs. The best NAS systems are equipped with hard disks with a capacity of a minimum of 1TB which. They advantage is that they can be configured as a RAID (Redundant Array of Independent Disks) which means that the system is based on two identical hard disks storing the data: in the event of one disk failure, the other disk containing the same information allows the user to access their data without a problem. Today, NAS devices have the dual role of server and storage applications and each takes care of storage, security and unlimited backup up of data. 1. Savings: Instead of purchasing expensive server platforms and licenses, employees and users you want to share the data with, including in remote sites, can use the NAS system with the advantages of RAID storage and automatic backup. 2. Reliability: The RAID configuration protects against disk failures and expensive data recovery procedures. 3. Fast Data Transfer: NAS technology makes retrieving and saving files easy. 4. Security: NAS systems allow to easily set users who can access the data. It also enables data encryption on the disk which is essential especially is the NAS unit is stolen. 5. 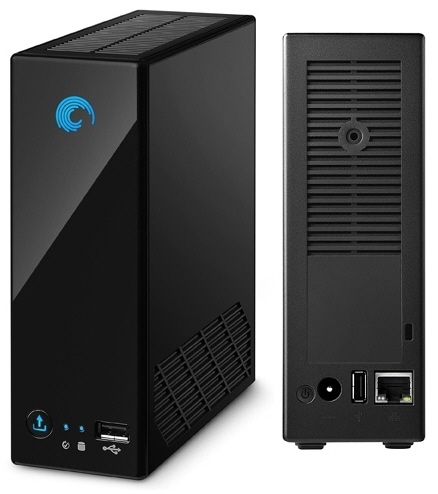 Easy use: Anyone with basic knowledge of computers can configure a NAS system. Files can be accessed via the web and can be easily downloaded. 6. Green device: NAS save energy, is silent and doesn’t have to be installed in a air conditioned room. It also looks very elegant if placed on desk. NAS is a very intelligent and unique technology that offers both performance and functionality. It has a range of applications and add-ins, offering savings on hardware and software licenses.